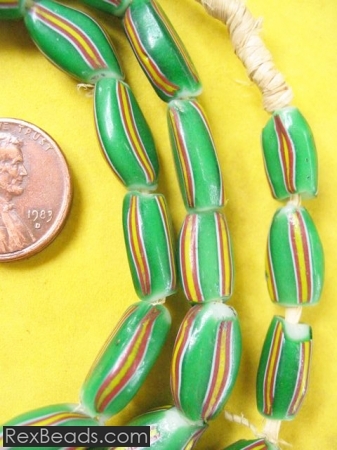 Watermelon beads are a type of glass beads that was commonly used for trading purposes in West Africa, especially during the centuries preceding the ban on slavery. These beautiful African trade beads were a form of currency and were molded in layers ranging from 2 to 6. 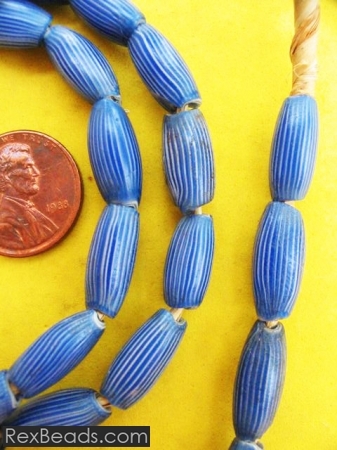 Watermelon beads were thin and handmade, thus giving each bead a unique characteristic. The top layer of the beads was green and shaped like a watermelon, thus denoting the watermelon in their name. 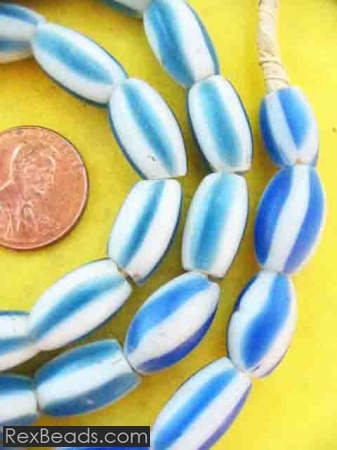 However, watermelon beads are today also available in striped colors. These beads were of great value in African traditional culture as they were an indicator of rank, age, wealth and social status and today, they are becoming increasingly valuable as well.